I have an exciting question, one that I hope will brighten up an otherwise grey and miserable week so far – Would you like to win a brand new designer changing bag by Sugarjack? 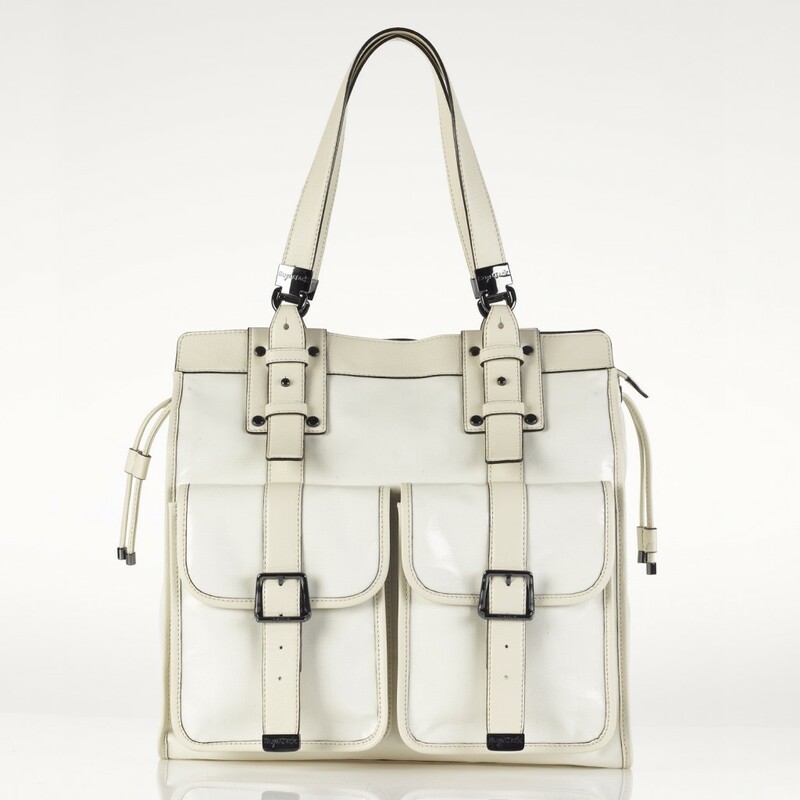 More specifically, an exclusive to Mumzynot, the Rebecca bag in white? Well, excitingly you could do just that, right here. 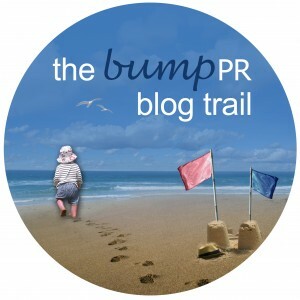 I have teamed up with BumpPR and Sugarjack as part of an exciting new blog-trail where, along with five other fabulous blogs, you could win one of six great prizes. My prize, the Sugarjack Rebecca (as owned by Una Healy) is the ultimate chic-mum style-statement. 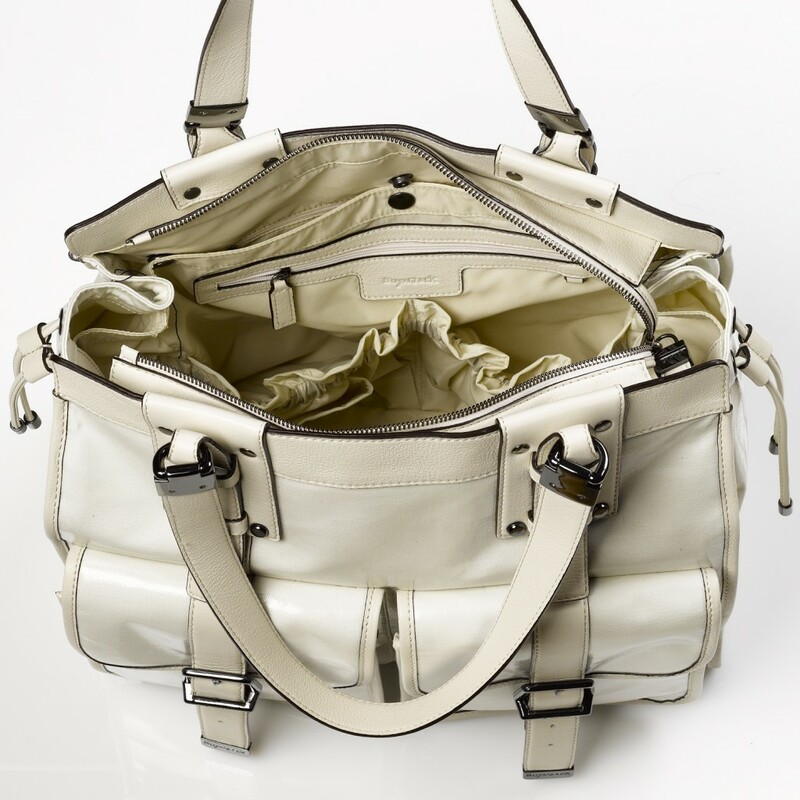 In luxurious white leather this over-sized tote is the perfect hold-all for all your baby-bits and mummy essentials. I don’t think I need to go into great details explaining all the features and fittings of this bag, if you are a new mum or mum-to-be you will already know that Sugarjack is one of the most coveted arm candies out there…. So, all you have to do to win one is comment below as to why you think it should be you? You also need to tweet me @mumzynot using the hashtag #stylishmum. On top of the above stunner, below is a list of some of the other exciting prizes you could win. Just click through to enter these too, and be sure to keep in the Twitter loop #stylishmum. You will also find more details over on Facebook. Good luck. I look forward to reading your answers. Could do with a bit of chic in my life after having second baby boy, think my future holds a lot of mud, dirt, grime and fun. Not a lot of time for shopping and looking fab! Good luck guys. Rebecca really is a stunner and I only wish I could keep her myself! I’m currently pregnant with my 1st baby so on the look out for an AMAZING, practical yet stylish changing bag and haven’t found any that even come close to the collection at SugarJack. Im a huge ‘bag’ fan but felt a little disappointed when looking at other brands what i would have to relinquish my style and go for a less attractive, but practical bag so was thrilled to find SugarJack, only, I only wish I had the budget for one! boo! Will keep my fingers crossed that i’ll be lucky enough to be sporting this gorge little number on my arm in a couple of months! Oh. My. Goodness!!! I would LOVE to win this bag! I have coveted it since I was pregnant with my lo. He is 17 months old and the last new bag I got was his changing bag as a gift at my baby shower! Keeping everything crossed! I would love this bag!!! My hubby wont allow me to buy such a gorgeous bag as this, as he feels its not necessary however i keep explaining that this will pretty much be a ‘bag for life’ its an investment! My only handbag now so it needs to look good… It never works though & he thinks my current bag does the job. Sob sob :’( I’m a first time mummy, and feel like i have nothing for me right now everything goes on my baby girl looking gorgeous so just for once i would <3 a little something for me! My birthday was also 9 days after my baby girls birth & needless to say it was pretty much forgotten about so if i win this bag it would be like a 8 week late birthday treat! would love to win this for my daughter who is expecting her first baby in february. Shes had a bit of a worrying pregnancy, so this must have bag would cheer her up no end. fabulous giveaway and I have never had an item so lovely (and practical is just a bonus). I’d love to win a sugar jack bag, as I am just finishing my maternity leave, and going back to work. I’d love to go back to work with a new bag like this, it would really make me feel more confident and be a nice touch to finish off my work clothes. It would also be great to be the talking point of the playgroup with the bag when I am off work with baby! I think it’s a great bag that can be used for both baby and mummy time! My name is Rebecca – it’s fate!!! I would love to win this beautiful bag, I have a 6 month old and everything I have had for my little man has been second hand, which I can’t complain to much because I have been give lots of beautiful hand me downs, however it would be nice to have something shinny, sparkly and new to make me feel special. oh what a fab comp! i never had a stylish changing bag and with number 2 coming start of next year a new bag would be great and who doesnt like a bag called sugarjack!!! This is beautiful! I have given up my high heels, my polished nails and my highlighted roots for my children, I think I deserve a beautiful bag! I would love to win this as I need a serious injection of style in my life! I have a son who is 9 months old and I am still on the quest for the perfect stylish bag that holds all the essentials. I need a cover-all (the stains) coat and a pretty bag to fake the yummy mummy look! This bag looks perfect to hid all the crazy and chaos I have!! Oh this bag is beautiful! Currently our changing bag is a tad bit scruffy looking, I hadn’t noticed how bad it actually was until I saw a new mum with the same Babymel ‘Ella’ bag the other day – it was very embassing! I could write for pages and pages about why I should win, but at the end of the day it comes down to – I’m a woman, I love shoes and bags and I especially love this Sugarjack one! Did I mention I love bags?! Because I yearn to be a Yummy Mummy!! I would love to win this. I’m pregnant(due in January). I had a very baby styled change bag with my son and it made me feel mumsy and frumpy. This bag is the complete opposite, I NEED it in my life! after nearly two years with a changing bag in tow I wish I’d invested in something like this at the outset!! This bag is so stylish and doesn’t look like a changing bag at all! This would look so good when we go on our flight on holiday. I never had a posh changing bag with my other two! I’d love to win this gorgeous bag! I desperately need a new bag now that I have a toddler & a new baby & I need to carry the kitchen sink everywhere with me. Hi I am new to your blog via oh so amelia, what a fab comp. I would love to win as I have been using nappy bags for 5 years now, I have 3 children still in nappies and my disabled son will be for a lifetime, so my poor beautiful handbags have all been packed away, I really wish I could own a beautiful nappy bag to replace them and make me feel prettier. I shall tweet you now. My first baby was chic. She had everything a baby girl could want, including a fab changing bag. That was 17 months ago and with baby girl #2 due in 9 weeks, half the income my family used to have and a new house to do up, this new baby gets… Nothing. I’d love to start afresh with this beautiful bag for the beautiful girl who is soon to arrive. I’ve 4 beautiful children..aged 19 to 12… My eldest left for uni this Sept.. I never thought id be blessed with another newlife, however this year we introduced Beautiful Bea into our family.. I never knew so many things were available, I didn’t know that I could be a stylish mum.. I’ve never said in the most fashion wise person, but I know what I like.. I think my baby is the most beautiful lil bundle in the world, to be able to proudly walk with her a dream I never thought is recognise again.however here we are and to be able to carry a bag on my arm to equal that would be a joy. Good luck everyone! I would love to win this gorgeous bag for my baby due on Christmas Day because I have never had my own new changing bag, with my last baby I had to have a hand me down borrowed from a friend so It would be so lovely to have a brand new one that’s all mine! As a new mummy its fair to say I’m pretty unglamorous! I spend half the day in ‘lounge wear’ ( pyjamas to me), when I eventually get dressed I’m sicked on within the hour and dry shampoo is now my beauty staple!! I wouldn’t swap it for the world but some luxury would be lovely! Hats off to all the hard working mummies- we all deserve to win! I’d love to win as, rightly so all your energy and attention goes into your newborn baby, but a new mum deserves to be pampered and look amazing with a new bag as well. I think it should be me as i need a super big super stylish bag for the arrival of our second child. A beautiful baby boy for his big sister to spoil. & help mommy fill the Rebecca. My Darling Josephine is obsessed with bags (typical woman) & i have to share all my Sugarjacks with my little lady. I’m certain she would have the most fun filling the super roomy Rebecca with mummy! Would love to feel a yummy mummy and not a sad mummy and this bag would help I’m sure! I would love some arm candy. Allow me to summarise a selection of definitions of the term “behemoth” for your amusement. Something enormous in size or power. A gigantic beast, possibly a hippopotamus. Luckily for the husband his comedy timing meant I was too busy laughing to inflict revenge! I would love to win this stunning Sugarjack bag please so that it will help me on my journey into pregnancy and motherhood while attempting to pull off a look of “Yummy Behemoth Mummy”! This bag is really nice, i’ve not seen anything like it for a changing bag. Im a first time pregnant lady so i’ve only really come across the plasticy feeling bags in the main baby shops, which i don’t really like. Im pleased to see that there are stylish alternatives. I’d love to be able to feel like i just needed 1 bag which was functional and good looking. I would love to win this bag! I have been looking at this exact bag online wishing I had the money spare to get one, I have shown my partner several times “oh it could be my bag for life” or “christmas is soon” or holding my 22 week bump saying “she would love mummy’s new bag” but I’ve been given 2 options 1) that I can just use my old changing bag I had for my son (who’s now 4 & that bag is looking a lot older than 4.. It’s not aged well.) or 2) we can get this bag but not eat this month.. so I guess he won that one & we better eat this month! Fingers crossed that I win it as a Christmas present to me! Considering the name Rebecca too… Rebecca bag for little Rebecca. I would love to win so I could look that little bit more stylish. It would be a brilliant treat for Christmas. I am obsessed with trying to find the perfect babybag. I have tried soooo many – at least 10 have not made it out of the packaging as the design has something daft – no studs to stand up, no way to attach to buggy clips, a leather that can not be put in sun or rain. I am desperate to find the perfect one OR I am thinking I might just have to design my own I think this bag looks like a good size and would be super interested to win and test run it for real. With baby number 3 on the way Due on Christmas day it could be my second best present this season.